Could she be any cuter? I think not. 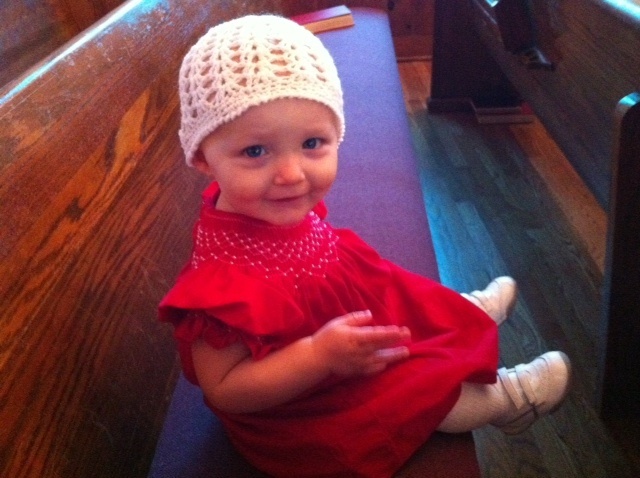 Thanks to Aunt Jill for this beautiful dress. 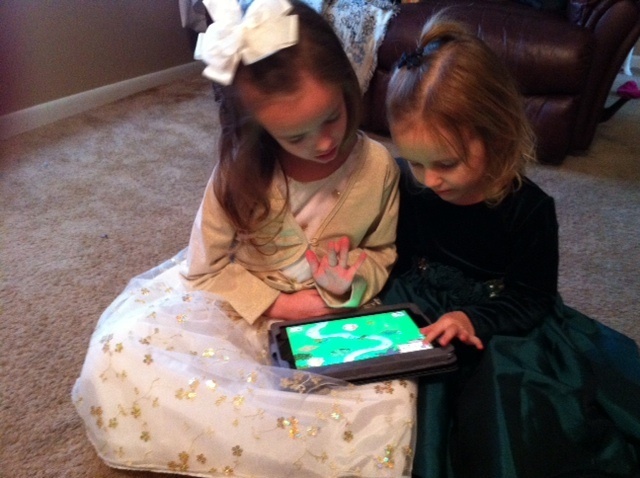 Here are my other angels in their Christmas dresses…only slightly distracted by Smurf Village on the iPad. 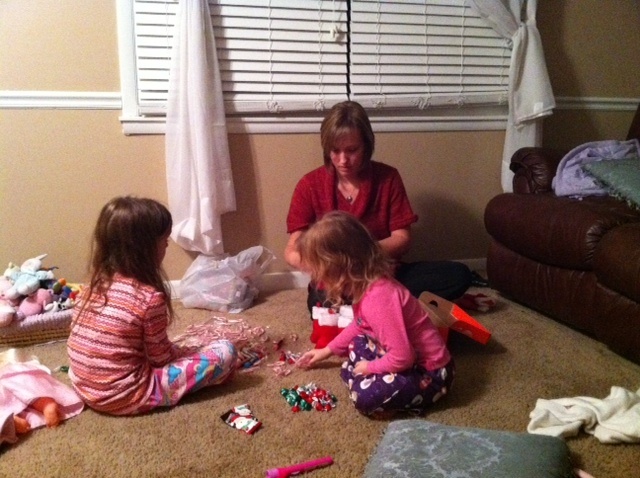 The girls and I stuffing stockings for my Wednesday night Missions Friends class. What six year old girl doesn’t want chocolate, silly bands and lip gloss? 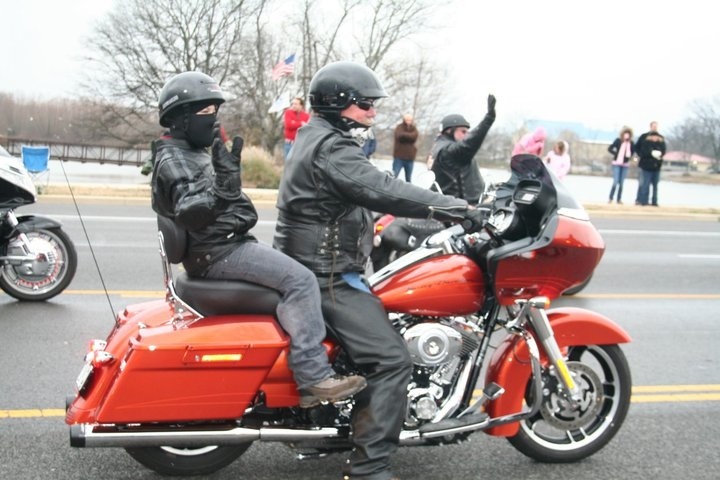 My dad in a local Christmas parade with a kid from our church who always wanted to ride on a Harley. 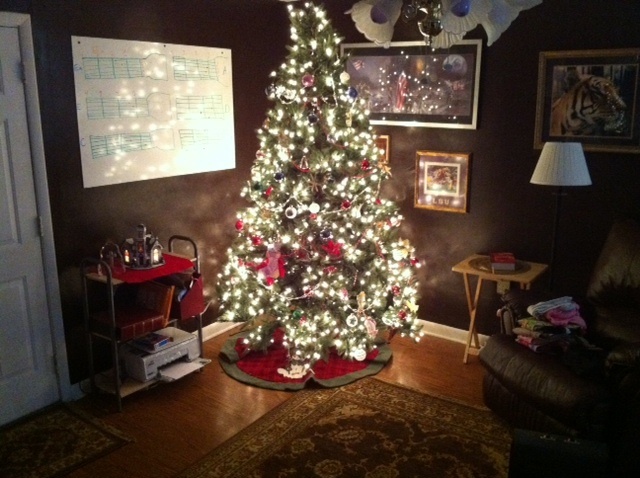 And, finally, our Christmas tree. ← Some days…it just pays to come to work. this is just the cutest pic!! I just showed these pics to Mawma and she loved it too; just so sweet. What a beautiful little family! Thanks for your email. I am doing ok. Obviously neglecting my blog. 🙂 I am still struggling with my chronic daily headaches and not much improvement. We are struggling with our finances too. Not sure how I am going to pull off gifts for the kids. If you would be willing to pray for us I would greatly appreciate it. Take care, and have a blessed Christmas friend!